QBE Sydney Swans Academy young Ky McGrath doing the Academy proud. When the QBE Sydney Swans Academy under-18s play the Sandringham Dragons in Melbourne tomorrow, it will bring back strong memories for the team’s assistant coach, Nick Davis. The Swans 2005 premiership hero knows better than most the benefits the Academy players can reap from taking on the strongest U18 teams in the country. In 1997 and 1998, long before the Swans Academy was set up, Davis was part of a NSW-ACT Rams under 18 side that played in the top Victorian under age competition, then known as the TAC Cup. Players from across NSW trained together in Canberra, and travelled to take on the best Victorian teenagers playing for the likes of the Sandringham Dragons, Oakleigh Chargers and Geelong Falcons. Davis, who grew up in Sydney playing footy and rugby league, says the experience undoubtedly helped him get drafted to Collingwood at the end of 1998. “There were so many benefits from playing in that elevated environment and testing yourself against the best players going around. We really improved and developed far more than we would have otherwise,’’ Davis recalls. He wasn’t the only one who reaped the rewards. In 1998 another four players besides Davis were drafted from the NSW-ACT team to AFL clubs – Lenny Hayes to St Kilda, Mark McVeigh to Essendon, Craig Bolton to Brisbane and Ray Hall to Richmond. It was an unprecedented number of draftees for NSW-ACT, and Davis says playing against the Victorian sides was the prime reason. So when the Academy under 18s run out against the Dragons at Trevor Barker Oval in Sandringham tomorrow, it will allow recruiters from AFL clubs to get a better sense of how they compare with some of the top-ranked young Victorian footballers. “The recruiters can judge apples with apples,’’ Davis says. 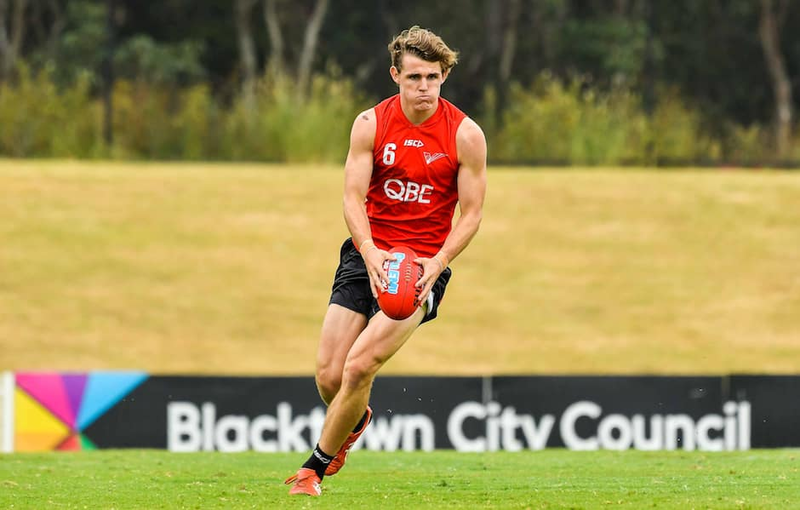 The Academy has already had strong wins over the Tasmania Devils and GWS Giants Academy during the past two weeks, and will play three games against Victorian sides as part of the revamped under 18 NAB League competition. After the Dragons, they take on the Murray Bushrangers and Geelong Falcons. While it’s not as extensive as Davis’ experience, it’s a great start. “Just the fact that they’re travelling together as a team and testing themselves at that level will stand our players in good stead,’’ Davis says. The Swans Academy will be boosted tomorrow by the return of young midfielder Errol Gulden, who was best on ground against Tasmania. Ky McGrath, who hails from the Hunter Valley, will also return from injury. The Dragons will be missing a number of key players who are taking part in a trial match for the Vic Metro under 18 squad but Academy head coach, Jared Crouch, says they’ll still be a strong outfit. “We’re really excited about playing the Dragons because this is the first time as an Academy that we come up against an under 18 side from Victoria, and they’re obviously a very good team,’’ Crouch said. The other northern Academy teams – the Gold Coast Suns, Brisbane Lions and GWS – will also take on Victorian teams this weekend. “It will will be an interesting weekend for everyone and it will be fascinating to see how it pans out,’’ Crouch said. The Swans Academy will play the Dragons at 1.15pm tomorrow and the match will be live streamed on the NAB League app which is available for free download.